Ongoing Projects - The City of Ridgefield, Washington | Forward Thinking. Rooted in Tradition. The City of Ridgefield’s park projects are built in accordance with the city’s comprehensive park and recreation plan. 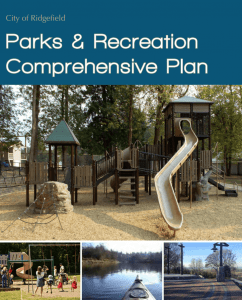 The comprehensive parks and recreation plan is a six-year guide and strategic plan for managing and enhancing park and recreation services in Ridgefield. It establishes a path forward for providing high quality, community-driven parks, trails and open spaces and recreational opportunities. The Plan provides a vision for the City’s park and recreation system, proposes updates to City service standards for parks and trails and addresses departmental goals, objectives and other management considerations toward the continuation of quality recreation opportunities to benefit the residents of Ridgefield. Please check out the Comprehensive Park and Recreation Plan for more details. agencies and organizations, led an effort to develop a plan for providing greater access to and increased knowledge of the waterways in western Clark County. The launch point is located at Ridgefield Boat Launch, located at the end of Mill Street and Lake River. 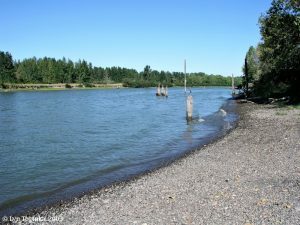 The plan mapped and designed the water trail through the lowland areas of the Lewis River, Lake River, Bachelor Slough, Vancouver Lake and a portion of the Lower Columbia River. Download the Water Trail Guide here. Click here to learn about Parks and Recreation Planning. For more information on planning and funding for Clark County Parks, visit the Parks Foundation website.